Josh Gates visits exotic destinations and some of the most unbelievable places on Earth on Travel Channel's Legendary Locations. Sometimes, truth is stranger than fiction and some of the most exotic destinations around the globe have the most bizarre and unusual backstories that are based upon folklore and urban legends. Josh Gates has chronicled these places, with their history, in his TV show, Legendary Locations. Feeling more like a spin-off from Destination Truth than Gates’ more recent Expedition Unknown, Locations showcases Gates’ wit and knowledge, crafting an educational and fun globetrotting adventure. The first episode, “Back From the Dead,” is one of the best. It includes a trip to the REAL Transylvania (along with the true history of Bran Castle and Vlad the Impaler AKA Dracula), Japan’s Ghost Island and an unusual Krampus festival that’s hosted by Munich, Germany. Each topic of different episodes (there’s usually three) feels equally related, yet somehow feels different, being based on different genres. That’s what makes the episodes either feel incredibly connected, or unusually uneven. Sometimes they’re both. While Gates is equally unafraid of scuba diving, riding down zip lines and repelling into deep, dark caverns, he’s equally at ease making cheesy pop-culture jokes at his own expense (he’s always got some zingers prepared). Whether he’s detailing the construction of Bolivia’s Death Road, telling the backstory of Japan’s Suicide Forest, following around a real-life witch doctor or simply focusing an entire episode around the unusually powerful Crystal Skulls, Josh Gates has a definite superpower for crafting some great stories. Hopefully, there he will get many more seasons to spotlight the strange, unusual and wonderful. While trying to look up more information on the show, which airs on the Travel Channel, there really isn’t a whole lot to find online. That’s unusual. And for some unknown reason, it’s not listed on IMDB, either. While Season 1 offers 13 episodes (and you can watch portions of them on Travel Channel’s official webpage), much like Expedition Unknown (which also airs on the Travel Channel), there really isn’t much of an online presence to speak of, to promote it. That’s unfortunate. In the social media-obsessed culture of 2018, it’s hard to imagine a corporate parent of a pair of successful TV shows not offering more than a tiny amount of support. But that’s exactly what’s currently happening. If Expedition and Locations could get more publicity, they could be huge programs for the network. For now, they’re successful, but hopefully the audiences for both grows exponentially. And even more important are the topics that are featured on the show. Once in a while highlighting sci-fi and dark topics makes Locations feel more like Destination Truth than the more adventure-travel show, Expedition Unknown, but the topics aren’t really consistent enough to warrant a Season Pass on the DVR. Sometimes the topics are incredibly interesting, while others (the non sci-fi and horror) are simply only OK. While Truth, Unknown and Locations are all different programming formats, the one consistent element that hooks an audience is Gates, himself. 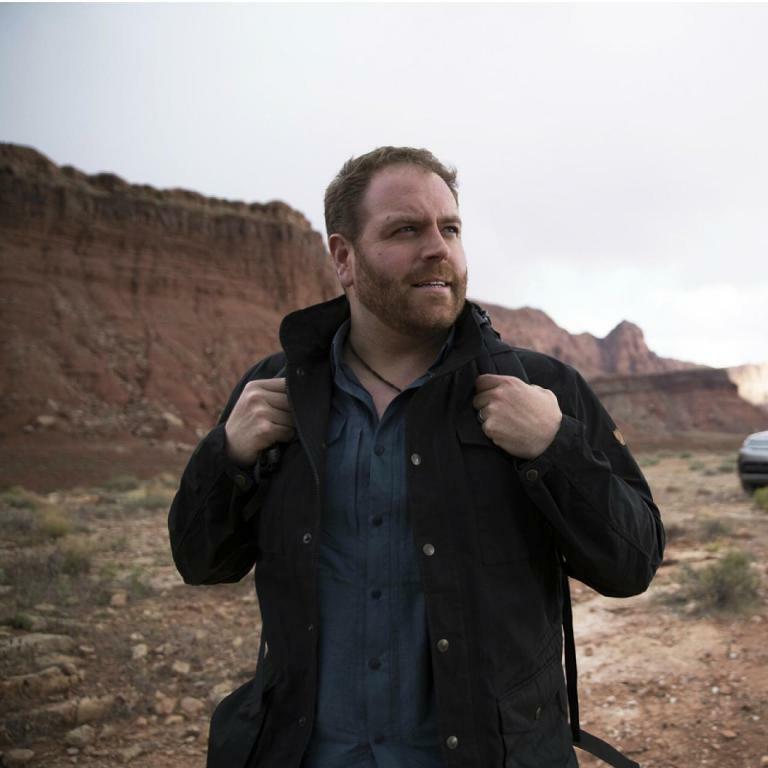 Whether hosting his own TV shows or guest starring on someone else’s, Josh Gates definitely belongs in front of every possible TV camera. Give Locations a visit, currently airing on the Travel Channel.